Memorial Sloan Kettering Cancer Center (NY) CMO José Baselga, MD comes under fire after media outlets report he failed to disclose his financial ties to research journals in which he was published. Baselga has served on the boards of and performed consulting work for dozens of pharma and healthcare companies, yet has systematically failed to report the millions of dollars in payments received when speaking or writing about sponsored clinical studies. 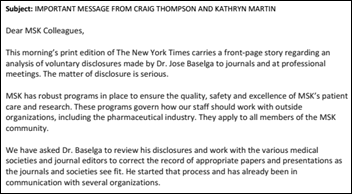 Adding insult to injury is the fact that Memorial Sloan Kettering has not yet censured Baselga in any way, other than to call for its staff to do a better job of disclosing their corporate relationships. 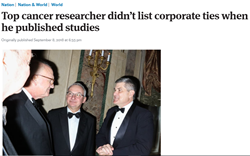 Baselga’s lapse highlights not only a lack of ethics on his part, but the slippery slope prestigious research publications like The Lancet and New England Journal of Medicine must walk when deciding to publish research. Most rely on an honor system, and for some, it’s simply a matter of not enough background-checking resources to go around. While publications like the American Association for Cancer Research have never barred an author from publishing, many are now reviewing their submission and review processes. From Vaporware: “Re: VA CIO nominee’s remarks on speeding up the Cerner project timeline. 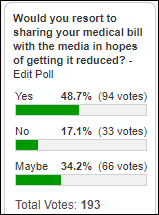 Summary: ‘We can do this faster,’ says someone who has never implemented an EHR. ‘You’ll be held accountable,’ says someone who never held anyone accountable. ‘LOL. $10 meeeellion dollars!’ says Zane on his way to the bank.” VA CIO nominee James Gfrerer told a Senate hearing committee last week that getting the Cerner switch flipped in under 10 years is definitely on the table. Nominated by President Trump at the end of July, Gfrerer spent two decades in the Marine Corps before serving as a senior military advisor in the State Department and then moving to E&Y’s cybersecurity practice. New poll to your right or here: Would you purchase a “premium” genetics testing service from at-home kit companies like 23andMe? Lisa Johnson (Legacy Health) joins Bluetree’s executive leadership team. Quality Systems changes its name to NextGen Healthcare. Quality Systems created NextGen in 2001 through the merger of Clinitec and Micromed. Notable Health raises $13.5 million to further develop its physician-patient interaction software delivered via Apple Watch. Optimum Healthcare IT settles a class-action lawsuit related to unpaid overtime filed last year by two employees for $4.9 million plus $1.6 million in legal fees. Healthcare Growth Partners recaps investment activity over the last year in RCM markets that include patient financial responsibility, complex claims from non-traditional payers, and coding and claims as they relate to connecting providers and payers. University of Louisville Hospital and Physicians (KY) select Health Catalyst’s Data Operating System and outcomes improvement professional services. Conway Regional Medical Center (AR) chooses post-discharge automated messaging software from CipherHealth. Personalized cancer treatment company Driver develops an app that offers patients treatment options and follow-up care within its network of 30 cancer centers. The membership-based service includes medical record and tumor sample collection, appointment scheduling, and virtual consults. 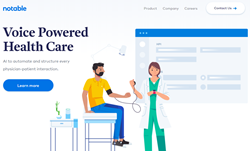 OnlyBoth adds hospital performance to its line of consumer-friendly healthcare comparison websites. Ciox Health announces GA of HealthSource, AI-powered software that locates, acquires, digitizes, and manages health data. 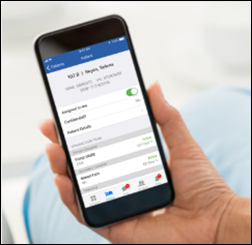 Nuance makes voice-enabled Dragon Medical workflows available through Epic’s mobile Rover documentation and barcode validation app. Mobile Heartbeat develops a new user interface for its MH-Cure care team messaging software. 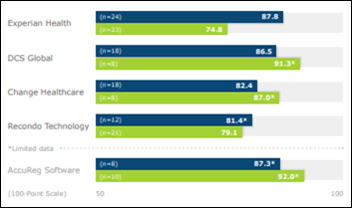 A new KLAS report on patient financial access finds that AccuReg ranks highest in customer satisfaction across categories, while Experian Health sees similar rankings from broad adopters. Recondo Technology leads the way in automated preauthorizations, but lags other vendors when it comes to customer perception of its positive impact on patients, staff, and billing. Experian Health’s customers, however, are the most likely to share patient access success stories. 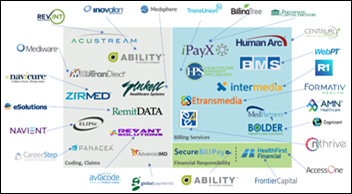 Change Healthcare wound up being the only vendor whose customers have all realized the benefit patient access solutions have on back-end billing. British Airways suffers another privacy black eye after hackers breach its website and app, compromising personal and financial information tied to 380,000 passenger transactions. The airline came under fire in July when its social media team asked passengers with service complaints to post personally identifiable information on Twitter to help resolve their issues, claiming it was necessary to comply with GDPR. HITRUST introduces a Shared Responsibility Program to help organizations and their service providers clearly understand their roles regarding ownership and operation of security controls. 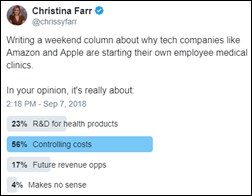 CNBC survey-takers believe controlling costs to be the top reason companies like Apple and Facebook are bypassing third parties like Premise Health to set up on-site clinics for their employees. LiveProcess will exhibit at the SONAR Safety Healthcare Conference September 14 in North Platte, NE. MDLive will present at the Healthcare Analytics Summit September 13 in Salt Lake City. Waystar will exhibit at the Mediware Conference September 10-12 in San Antonio. Clinical Computer Systems, developer of the Obix Perinatal Data System, will exhibit at the AWHONN Ohio Section Conference September 13-14 in Sandusky. OmniSys will exhibit at the PDX Pharmacy Forum September 16-18 in Fort Worth, TX. Experian Health will exhibit at AAHAM MD September 11-13 in Ocean City, MD. Sunquest will exhibit at Precision Medicine for Hospital CEOs September 12-13 in Nashville. Visage Imaging will exhibit at the SIIM Conference on Machine Intelligence and Medical Imaging September 9-10 in San Francisco. Voalte will exhibit at the Texas Health Association 2018 Quality and Patient Safety Conference September 13-14 in Georgetown, TX.